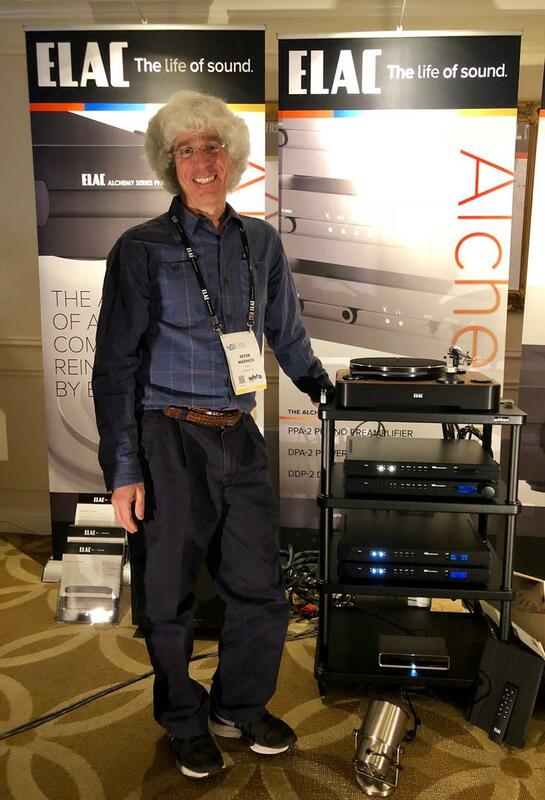 In a wonderful-sounding setup—and one that’s priced in a fairly affordable range (by high-end standards)—the latest Elac Alchemy series electronics (stack of three) designed by Peter Madnick debuted driving Adante AF61 floorstanders ($5k/pr.) with an Elac Miracord turntable ($5k) fitted with a Soundsmith Zephyr MIMC Star cartridge ($1999) serving as the analog source. First, there was the Alchemy PPA-2 phono preamplifier ($999) with all-analog discrete FET gain and EQ stages, a selection of RCA or XLR inputs and outputs, and fully adjustable cartridge loading via front-panel controls. 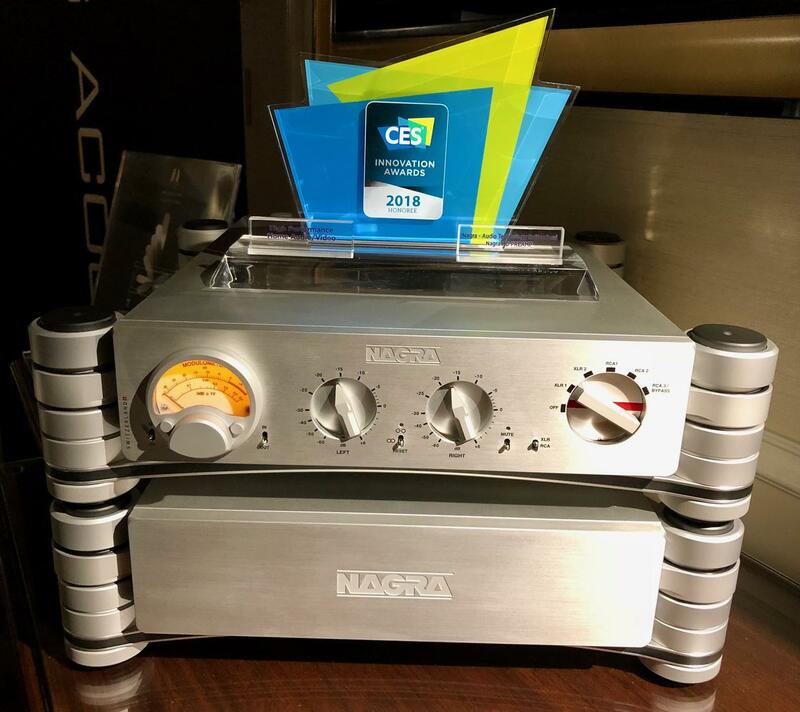 Next was the Alchemy DDP-2 DAC/preamplifier/streamer ($2500), designed to be a flexible system centerpiece with a host of inputs, RCA (fixed-level and volume-controlled) and XLR outputs, and more. Streaming options? 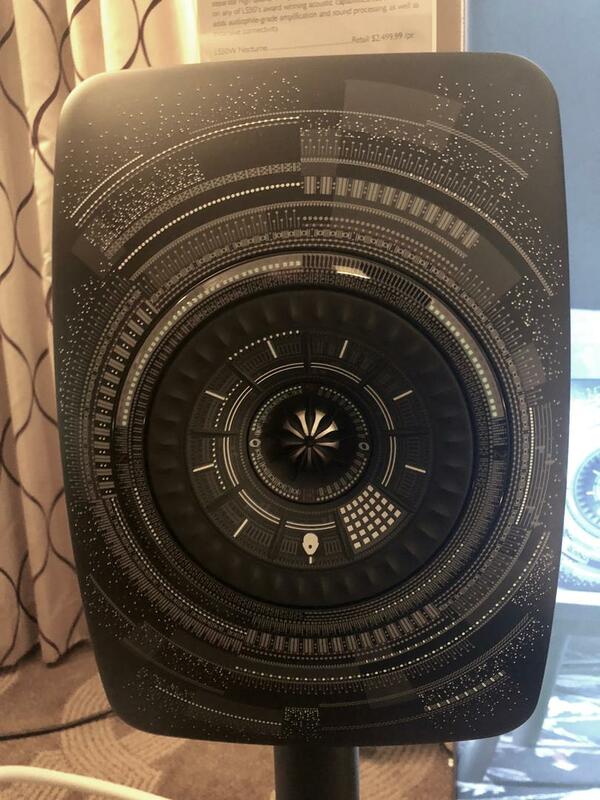 Just about everything: Spotify Connect, Bluetooth, AirPlay, Roon. And MQA. (For more details, see Robert Harley’s CES report.) Finally, there was the Alchemy DPA-2 power amplifier ($1499) that delivers 350Wpc stereo or 650W mono via a pure analog, fully discrete FET input stage and Class D output stage (DC servo-controlled) with switching power supply that runs cool and is said to be 90% efficient. The refined sweetness of Julie Sternberg’s violin on the Wilson Audio Recording of the Debussy Violin Concerto soared with remarkable resolution and a degree of timbral accuracy seldom encountered at this price. No upper-octave harshness or glare here. Though the setup could have used a bit more bass power and depth on my old Blondie Parallel Lines LP (admittedly not the best-ever recording, compression), no matter—Debbie Harry’s vocals, Chris Stein’s guitars, and Clem Burke’s hard-hitting drumming hit the mark. This was fun listening. 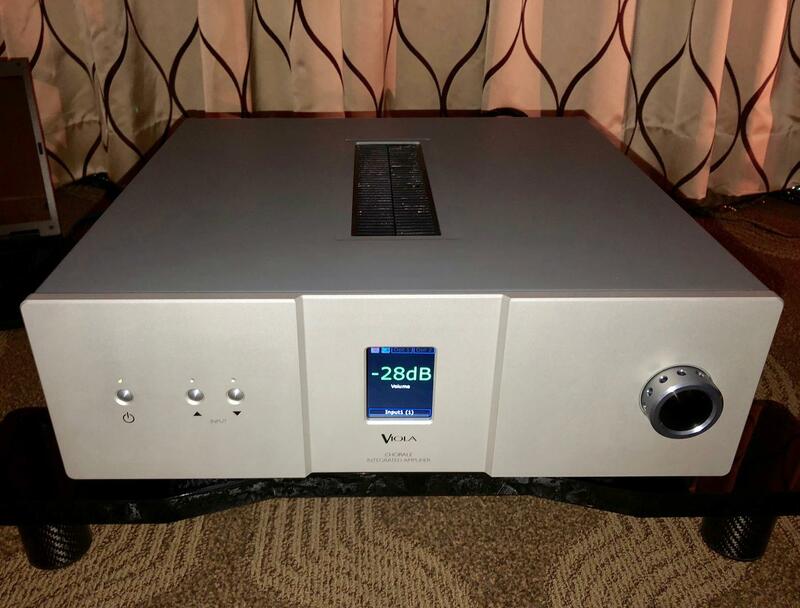 The new VTL TP-2.5i phono preamplifier, which retails for $3750 (less than most other VTL offerings), was introduced in a superb-sounding system paired with VTL TL-6.5 Series II Signature line preamp, and S-200 Signature stereo amps ($12.5k each), used as bi-amped monoblocks driving Wilson Audio Duette Series 2 loudspeakers ($22.5k/pr.). The VTL/Wilson combo delivered one of the finest presentations I’ve yet heard from them. The TP-2.5i features technology trickled down from the renowned TP-6.5i phonostage as well as user-adjustable cartridge impedance, two levels of gain, and JFET/tube hybrid circuitry for the mc stage (plus step-up) and an all-tube mm stage. On any given LP (a classic Decca of Roberto Gerhard’s Libra and a brand-new LP [an IsoMike recording by Ray Kimber] of Chopin’s Last Waltz played by Robert Silverman, for examples), the amazing resolution, naturalness of timbre and sense of air and space around the instruments coupled with effortless musicality made this a hard room to leave. Soundstaging was equally compelling, though extending more in width more than depth, and exceeded what what one might expect from two-way speakers (even of this caliber). Kudos to Stirling Trayle for setting this system up to the max. 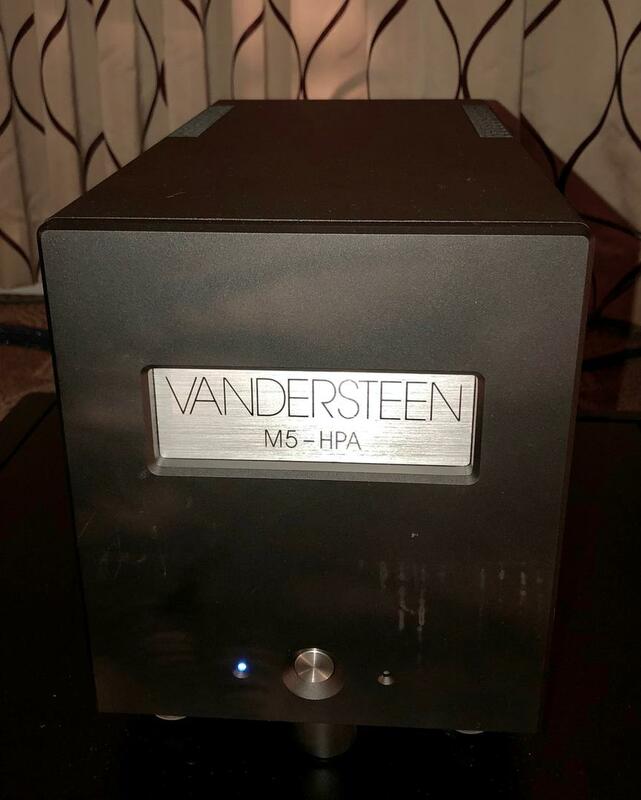 Richard Vandersteen introduced his new Vandersteen M5-HPA monoblock power amplifier ($15k/pr. ; March shipping) that he designed, then built out in partnership with designer/engineer Dean Klinefelter. Delivering 300W into 4 ohms, the U.S.-made amp is a zero-feedback design with only five parts in the signal path per phase. HPA stands for high-pass amplifier, and the M5-HPA is a direct descendant of the flagship M7-HPA and is designed to work with a broader range of speakers. While the M7 version had only fixed high-pass filtering at 100Hz, the new M5-HPA offers five internal filter-setting options from 20Hz to 200Hz, not only to enhance bass but also to optimize the entire frequency spectrum. (Vandersteen explained that room EQ happens in the subwoofer, which doesn’t tamper with the highs.) On a Bach organ concerto—a real low-octave test—the full, deep bass showed no slouch as it drove his Quatro Wood CT loudspeakers. Great stuff! I’d seen the late-stage prototype of the new Viola Audio Chorale integrated amplifier (est. under $20k, March shipping expected) at the 2017 High End Munich show on static display, and here I had the pleasure of hearing it in a setup driving Genesis Maestro loudspeakers ($30k/pr.) with a VPI Vanquish turntable and Fat Boy tonearm. Playback of the new Anne Bisson Trio Four Seasons in Jazz: Live at Bernie’s direct-to-disc LP, which was recorded/mastered by the legendary Bernie Grundman and produced by Gary Koh of Genesis, was rendered with highly musical, effortless naturalism. (Anne even made an appearance in the room to sing along on a cut or two.) The Chorale delivers 125Wpc into 8 ohms and offers a trio each of balanced and unbalanced inputs, a pair of rear-panel option card slots, and remote control via iOS or Android application. 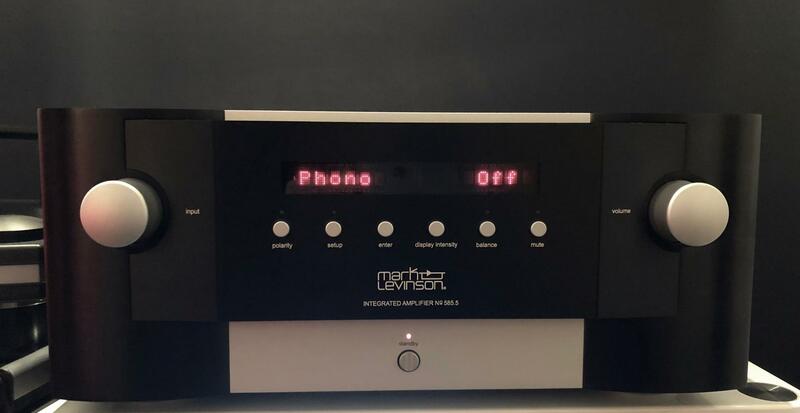 Also introduced at the show was the new Mark Levinson No. 585.5 integrated amplifier ($16k) that’s identical to the No. 585 but now offers both a DAC and a phonostage—the one found in the 523 and 526 preamplifiers. The 585.5 is a high-bias Class AB topography (with the first several watts in Class A) that powered all-new-inside (same Performa enclosure) Revel Performa F228 BE (BE for the new beryllium tweeter) loudspeakers ($10/pr.). A listen to “Chan Chan” from my Buena Vista Social Club LP revealed a slightly warmer timbre that provided nice detail and a pleasing sense of atmosphere. Textures on trumpet and guitars (laúd, etc.) in particular were lovely. Impressive, especially for the dough. A Levinson turntable created in collaboration with VPI ($10k without cart, $12.5k with Ortofon Cadenza Bronze installed) served as the analog source. 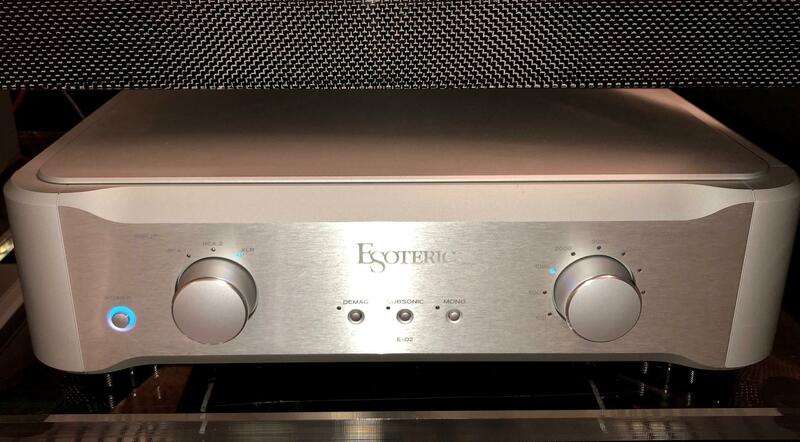 The new Esoteric E-02 phono preamplifier ($9k)—technically it debuted at RMAF and is now shipping—is borne of the E-03 model that couldn’t be sold in Europe, as it had no standby power. In addition to the inclusion of that auto-standby feature, the E-02 is now fully balanced and features a similar circuit design (doubled now). It still retains the popular cartridge demagnetizing feature, subsonic filter option, and mono capability. The front panel contains cartridge-loading options; preferences can be saved for each input. Outputs include XLR and two RCAs that are fully balanced once inside chassis. Another noteworthy, user-friendly, and pretty price-friendly (at $999) new entrant was the 85Wpc Music Hall a30.3 integrated amplifier that offers digital and analog options galore with an mm phono preamp, Bluetooth connectivity, 5 analog inputs, 3 digital inputs (USB, TosLink, coaxial). In addition to the re-production of the heritage Janszen KLH Model 9 electrostats (for more see Jonathan Valin's report), another recently revived classic brand is due for a resurgence: Introduced on static display was the SAE 8225 power amplifier (est. $6k–$8) that delivers 225W by eight channels and is expected in market by June or July. 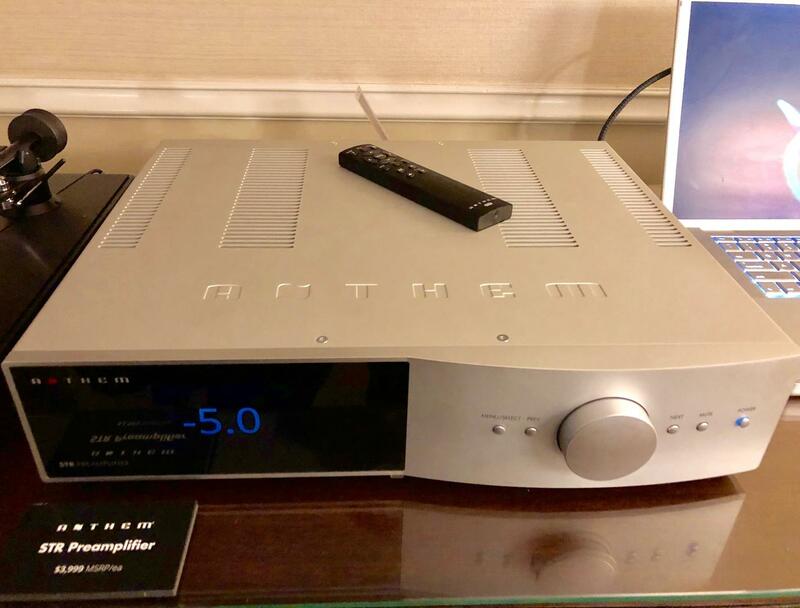 Anthem, an electronics brand and sister company to Canadian loudspeaker manufacturer Paradigm, displayed a trio of new components from the Anthem STR series: the STR integrated amplifier ($4499), STR power amplifier ($5999), and STR phono/preamplifier/DAC ($3999); the integrated is in market and the latter two have just begun shipping. The preamp boasts quad-shielded, dedicated circuitry and ten phono EQ options (plus custom). Each input is “virtual” for room correction, and multiple speaker mappings (e.g., with/without subwoofer) can be stored as presets. Digital signals get converted to 32/192, and there’s a home-theater bypass option. 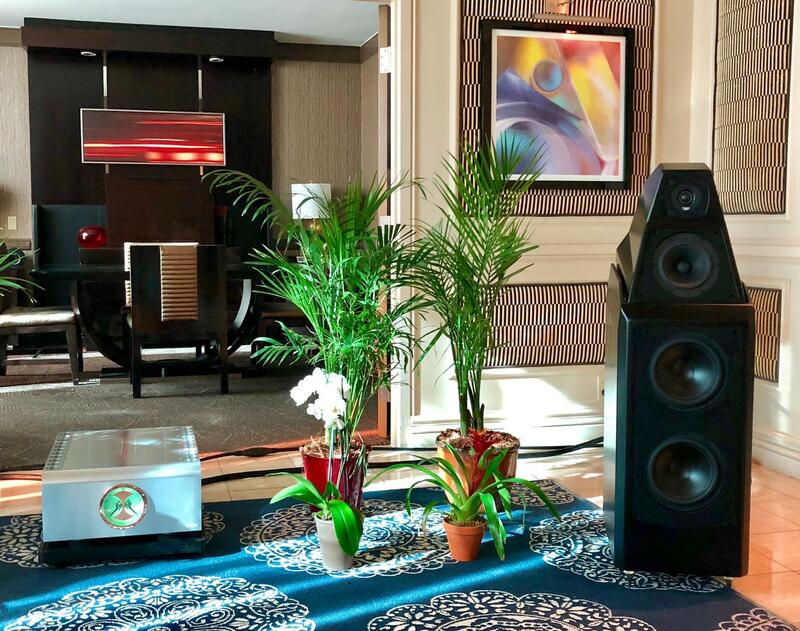 Paradigm’s Rob Sample and John Bagby said their goal was to showcase a “killer $20k system”—Paradigm Persona 3F loudspeakers ($10k) with the aforementioned Anthem electronics—that offers flexibility for digital and analog sources as well as home theater. And to complement your décor, 14 new color choices are available for the Paradigm Persona speakers. In the KEF room was the recently released Hegel H190 ($4k) integrated streaming amplifier that began shipping in November and replaces the H160. It features an upgraded DAC, 50% more power, and a complete redesign of the implementation of the pre driver transistors in the output stage—among other goodies. The Technics room, though it didn’t have debuts in my category of electronics, put on a spectacular demo that showcased all-Technics Reference gear to impressive effect. A listen to my LP of Bernstein playing (and conducting) the Shostakovich Second Piano Concerto [Columbia reissue] presented utter naturalism, compelling detail, and effortless musicality that shined on in this super-system that included the three-way SB-R1 floorstander ($26,999) powered by SE-R1 stereo amplifier and SU-R1 preamp/player with the new Technics SL-1000R turntable as analog source. Across the street at the Mirage, a couple of exhibits made the trip very worthwhile (in Vegas crossing the street is farther than it sounds). 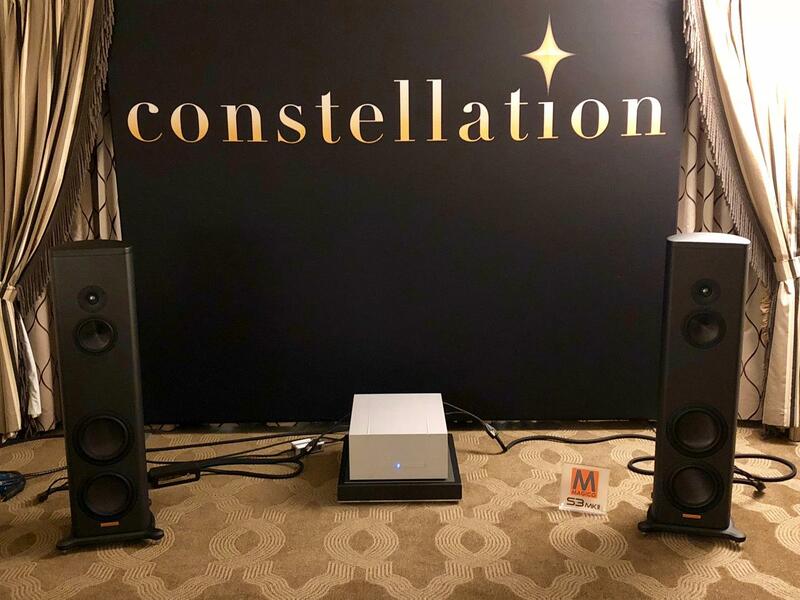 Dan D’Agostino presented his most recent 300W Progression stereo amplifier ($22k, began shipping in Sept.) in a compelling demo paired with the very-undigital-like dCS Vivaldi 1 limited edition CD/multimedia player and Wilson Audio Sasha 2 loudspeakers in a fetching matte-black finish. The live jazz thrills of Gary Meek and band streamed via Roon blew us away with lightning-fast attacks and in-your-face immediacy. There’s also talk of some forthcoming, no-power-holds-barred, ultra-high-end electronics from Dan D’Agostino Master Audio Systems. Maybe to be unveiled in Munich? 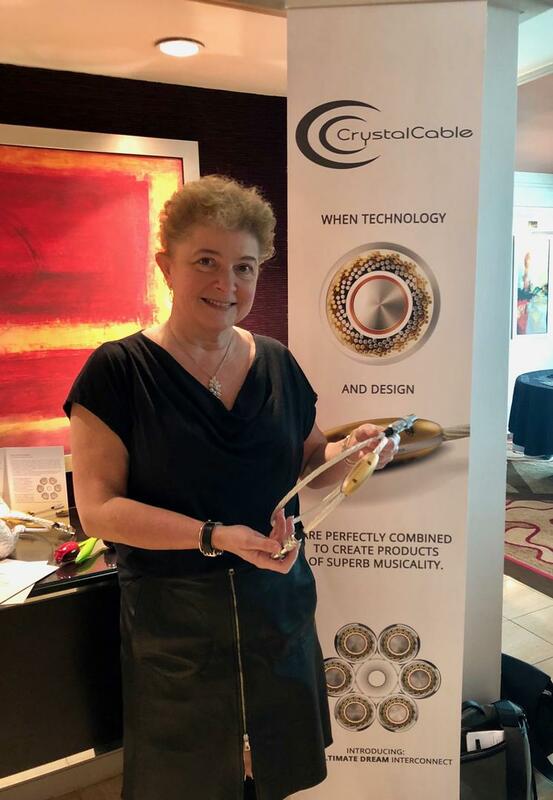 Yes, it’s outside my assigned category here, but in another suite, Gabi Rijnveld of Crystal Cable held court to introduce the marque’s new Ultimate Dream monocrystal interconnects and Duet headphone cable, and “brother” brand Siltech’s 35th Anniversary Limited Edition Crown Princess wires. A brief listen to some remastered Beatles tracks through the top-tier Focal Utopia Beryllium headphones ($4k, with beryllium inverted dome tweeter) connected with the new Duet cable to an Astell&Kern AK70 player had Neil Gader amused by my terpsichorean response. Back at the Venetian, another winning combination showcased a suite of fine Constellation electronics (and Cygnus DAC/media player as digital source)—namely the Revelation Series Pictor preamp ($18k) and new Revelation Taurus stereo amplifier ($19.5k) driving Magico S3 Mk II loudspeakers ($28k) to outstanding effect. This superb system was cabled by MIT and supported by Critical Mass Systems MAXXUM equipment racks. Also on static display was the Constellation Centaur II 500 stereo amplifier ($55k), which the company’s Irv Gross says is like a baby Hercules amp. This demo’s playback of a Reference Recordings CD rip of Rachmaninov’s Symphonic Dances offered up fast and hard-hitting attacks, engaging detail, and a soundstage befitting an orchestra—all told, it captured the work’s sense of drama admirably. The French manufacturer and design specialist Amadeus’ first consumer-audio product, the revised “home edition” of the Philharmonie active two-way loudspeaker (here paired with Lumin digital source), deserves a special mention for gorgeously natural sound and aesthetics. Sonics were nimble, airy, and realistic without becoming analytical. Soundstaging and bloom were remarkably good. A 16/144 FLAC of Bob Marley’s “Could You Be Loved,” though a touch bright, displayed funky percussive snap and sharp resolution. I’ve been saving the best for last: electronics: Vladimir Lamm’s extraordinary Lamm electronics, including his Signature series ML3 amplifiers ($139k/pr. ), LL1.1 line-level preamp ($45,590/pr. ), LP1 phono preamps ($36,890/set), and LP2.1 phono preamp ($9390 each), in front of the knockout Kharma Exquisite Midi Grand Signature speakers ($191k/pr. ), with analog sourced by a TechDas Air Force 1 turntable ($110k), and digital from an Aqua La Diva CD transport ($9k) and Acoustic Formula xHD DAC ($16.5k). Though this demo in a 35th floor suite didn’t represent debuts in my category, it was so convincingly true to life and breathtakingly beautiful—even flirting with (dare I say?) perfection on some material—I feel compelled to include it. A key example: Listen to my vintage Decca LP of Gerhard’s Libra rendered such amazing imaging and rapid-fire and realistic initial transient attacks that the anticipation of the next guitar strum, or drum strike, or clarinet wail led to edge-of-your seat excitement. Moreover, soundstage presented a huge sense of very deep and wide-open space between the instruments. As much as I try to spare my use of audiophile clichés, one rings true here: This highly resolved, holographic, and über-realistic system full of room-filling bloom conveyed the same thrills as if the musicians were present. Lovingly transparent with a touch of warm sweetness, astonishingly three-dimensional in imaging and bloom, and just jaw-droppingly there. Without a doubt, the Lamm/Kharma demo. Although this represents a truly “cost-no-object” setup with a total coming in at a cool more-than-half a mil, it was as good as it gets. The Technics room and VTL/Wilson Audio systems tie for second. The all-Elac room featuring all-new Elac Alchemy electronics ($999–$2500) driving the Adante AF61 speakers ($5k/pr.). 1) Introducing…the integrateds! A noteworthy number of those amps debuted at the show. 2) Seeing more turntables in demo rooms than expected—a pleasant surprise. Vinyl love lives on! The aforementioned Kharma and Lamm dream system, KEF LS50 “Nocturne” special-edition powered speaker, Focal Utopia headphones, and anything from the Technics room.